Good match. They started out with lots of extended and exchanged holds, then moved into some more action. There was some good psychology early with both women focusing on the other’s arms, but eventually none of that mattered too much. The last sequence was quick, but it was a good finish to the match that added a little excitement where the rest of the match had been fairly methodical. James Ellsworth and Carmella are in a skybox watching the show. Dasha Fuentes asks them what they thought about the match they just saw. Neither of them seems to care very much. Apollo Crews comes out for the next match, a handicap match teaming with Kalisto against Ziggler. Kalisto comes out next but is immediately attacked from behind by Ziggler. Ziggler throws Kalisto into the light board on the stage. As referees attend to Kalisto, Apollo Crews heads towards the ring where Ziggler is waiting. An okay match. They did all the right things to build interest in a handicap match where the guy being handicapped has already lost to one of his two opponents. The pre-match attack gave the early part of the match some good excitement, though they didn’t maintain it for very long. The match then moved along, seeming to bide time until Kalisto returned for a pretty okay finish. After the match, Ziggler trips Kalisto on the apron and attacks Crews with a chair. Ziggler traps Crews’ ankle in the chair and stomps on it. I liked the match. I always enjoy turmoil matches, and this one was done pretty well. The first three falls were kind of quick, TV quality matches, but the cumulative effect was good. The Usos versus American Alpha was definitely the focal point of the match, and it was entertaining. I’m not sure if having The Ascension as the last team helped build much tension for the final fall, but it was still a pretty good finish. Buildup for Nikki verus Natalya. Pretty good match. This one was a lot more hard-hitting than James versus Lynch which made it entertaining. The ending didn’t help the match’s quality, but it really just seems like it’s an attempt to continue building towards a Wrestlemania match. In the skybox, Carmella comments about Nikki and Natalya being out of control. James Ellsworth agrees. On the video screen, Bray Wyatt (with Randy Orton) says the family must go its separate ways, but in the end they will be one. Buildup for Orton versus Harper. Very good match. I don’t think the winner of this match was ever in question, it still felt like either guy could win. This match showed how good Luke Harper is. Renee Young asks Nikki Bella about Natalya. As Nikki speaks, Natalya attacks her from behind. While fighting they run into Maryse. Referees eventually come and break it up. Good match. Alexa kept trying to outsmart Naomi, but Naomi’s athleticism kept her in the match. This was a good, fast-paced title match. Renee Young congratulates Naomi on becoming the new champ. This was a good Chamber match. It started off with Cena and Styles getting in to it very quickly. They only had about five minutes before someone else would enter, but they managed to hit some big moves on each other. It set a good tone for the match. Once people started entering the match one by one, the big moves kept coming. As expected, each guy had a burst of offense whenever he entered the match, but no one person ever really dominated the match for any long period of time. Baron Corbin probably came the closest to dominating, using his brief time in the ring to beat up most of the other guys. Styles probably took the most damage, taking a few big hits from and onto the chamber. The last five minutes or so of the mast was pretty exciting and was a good way to end the night. This was a pretty good show. Tag Team Turmoil is always fun and the last three matches delivered a lot of entertainment. Some of the matches (like the Ziggler/Crews/Kalisto and the Nikki/Natalya matches) felt like they were basically just promos for Wrestlemania, but that’s kind of expected at this time of year. I really liked the Orton versus Harper match, but it’s hard to beat the Chamber itself. The results helped the quality of the match, and the action was good. 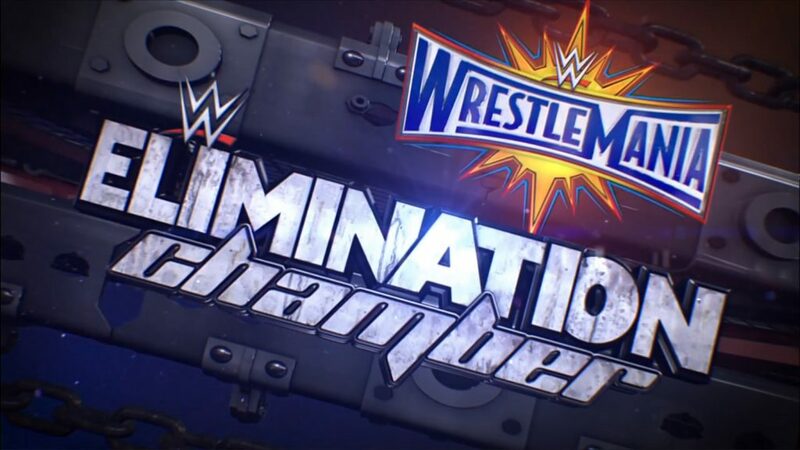 << Read Elimination Chamber Kickoff Recap & Review.